(MENAFN - The Conversation) Technological advancements in archaeology in recent decades have produced amazing insights into the lives of ancient peoples. These range from uncovering lost Mayan cites in Guatemala to identifying Neandertal-Denisovan offspring to recovering early Native American DNA . Discoveries continue to reveal unexpected details about our shared human past. But the new information also brings new responsibilities and concerns about the political, ethical and social dimensions of archaeological research and heritage management. This is especially true for Indigenous peoples for whom heritage is about more than objects of scientific study or items to preserve in museum displays. Western ways of thinking about heritage seek universal truths about human behaviour and tend to focus on the material manifestations of the past. Indigenous conceptions of heritage, in contrast, are inclusive and include not only objects and places, but also customs, practices, relationships, stories, songs and designs . These are passed between generations and contribute to a person's or group's identity, history, worldview and well-being. Indigenous perspectives of heritage have become widely known over the past 30 years, and are being integrated into research projects and management practices. In some cases, divisive relationships between Indigenous and Native American communities and archaeologists, (sometimes labelled grave robbers), have been transformed into collaborative, mutually beneficial relationships. 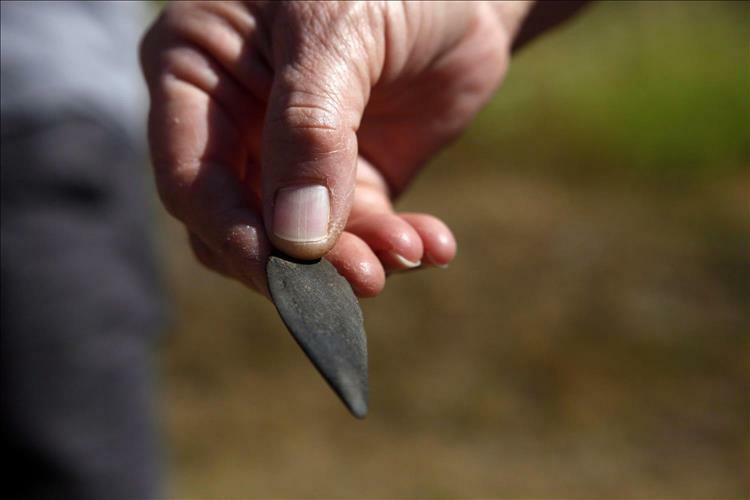 More importantly, a growing number of Indigenous archaeologists and anthropologists are discovering, interpreting and protecting their own ancestral sites. And there is a growing recognition of the legitimacy of Indigenous traditional knowledge . For example, the Nyungar Cultural Rangers program in Western Australia is a community-driven program, in which Indigenous men and women train others in the traditional ways of caring for their own lands. Despite these incremental changes, Indigenous peoples continue to press for meaningful engagement with those controlling their heritage. Current policies in settler countries like Australia, Canada and the United States still provide only limited room for Indigenous input into decision-making on issues of heritage. Development projects are claiming ancestral sites at alarming rates. This ineffective protection of Indigenous heritage is a violation of human rights, while the continued destruction of ancient sites, burial grounds and sacred places can be considered a form of violence . While heritage is essential to all peoples, Indigenous peoples in colonized lands have historically had the least control over theirs. State-controlled heritage policies are a source of regular conflict, with substantial social, political and economic consequences. Fundamental differences in how heritage is valued raise tremendous challenges to establishing respectful, ethical and effective policies to protect objects, practices and places of local significance. In the U.S., there is extensive federal legislation, but archaeological sites on private land receive little protection. This is not the case in Canada, where most heritage legislation is provincial but no less problematic. Economic pressures strongly influence heritage policies. Today, heritage site protection is largely the domain of professional cultural resource management, a $1-billion-a-year industry. Some critics say this profession helps commercial projects comply with heritage laws and effectively facilitates development more than it protects heritage. Furthermore, protecting heritage sites may pit Indigenous peoples against private landowners and other interest groups. At the same time, the public sees tax dollars being spent to rectify poor, ad hoc decisions regarding heritage preservation, for example, when threatened Indigenous burial grounds or sacred sites, such as Grace Islet in B.C., slated for destruction and development, are eventually purchased by the province . In South Dakota in 2016, the Standing Rock Sioux tribe led the resistance to the Dakota Access Pipeline not only over lack of adequate consultation, but also failure to recognize the impact of the pipeline on the cultural, spiritual and environmental dimensions of the land and water. The unequal protection under the law for settler vs. Indigenous human remains is especially problematic, with the latter often considered to be scientific specimens. In B.C., human remains dating before 1846 (the date of Confederation) — predominantly ancestral First Nations — are considered part of the archaeological record, which is protected by the Heritage Conservation Act. Those dating after 1846 — predominantly white — are protected under the much stronger Cemeteries Act. Not surprisingly, it has proven very difficult to redress the types of inequalities faced by Indigenous peoples because of Western notions of heritage and the guiding principle of stewardship. There is a lack of neutrality, with heritage management policies operating from a privileged, largely Western-centric position. There is now some accommodation of Indigenous knowledge, but with limited credence given to oral histories, except when it concurs with archaeological sources. Some scientists have concerns of relinquishing any significant control over decisions about archaeological projects and policy development — lest the integrity of the archaeological record be diminished. These concerns include fear of an 'anything goes' non-scientific approach to heritage. The idea is that if we protect Indigenous heritage we will only operate from a stance of political correctness and will no longer engage in science. Yet this is challenged by recent studies that demonstrate the complementarity of Western science and Traditional Knowledge . Despite these hurdles, there is increasing acknowledgement worldwide that protection of everyone's heritage needs to be a fundamental human right. Government agencies and NGO's are increasingly joining with universities and Indigenous organizations to develop solutions. Protecting Indigenous cultural heritage is more than an issue of academic interest, however. UVic anthropologist Brian Thom points to a board mapping out ancient ancestral settlement sites of Cowichan Tribes in the area as Dianne Hinkley looks during a cultural tour of the ancestral lands of Ye'yumnuts in Duncan, B.C., on Thursday, July 26, 2018. The Canadian Press/Chad Hipolito. Significant strides have been made. The United Nations adopted the Declaration on the Rights of Indigenous Peoples (UNDRIP) in 2007. In Australia, the Council for Aboriginal Reconciliation was established in 2001. Canada's Truth and Reconciliation Commission was created in 2008. The U.S. established its commission in 1998 but with a much broader mandate and has yet to address specific Native American concerns. It is another matter to transition these ideas from theory to practice to policy. There is uncertainty about what the acceptance of UNDRIP means and what the steps are for implementation, especially for Canada, the U.S. and New Zealand, the three countries that initially voted against it. Only months after Canada officially removed its objector status to the UNDRIP Declaration, Justice Minister Jody Wilson-Raybould said, while speaking to the Assembly of First Nations, that its adaptation into Canadian law was 'unworkable.' In the U.S., there is much uncertainty about what will happen under the Trump administration. The various initiatives launched in recent years offer at least nominal restitution for past harms suffered by Indigenous peoples, including the loss of land, language, cultural traditions and sovereignty due to colonialism. But no matter how well-meaning 'sorry' may be, reconciliation needs to involve changing how things are done. That change must extend to how heritage sites, especially burial grounds and sacred sites, are protected. The passage of the Native American Graves Protection and Repatriation Act in the U.S. in 1990 sent shock waves through the discipline of archaeology, but the world did not end as some archaeologists feared. Instead it has contributed to new and productive relationships with Native Americans. It created opportunities for scientific research on the ancestors that has revealed their life histories, as well as connections between past and present-day communities. Some Indigenous Elders believe the ancestors let themselves be found so they can teach today's Native youth about their history. What comes to mind for me is the gift of knowledge [and] awareness that is happening for us [in working] with the ancestors. The amount of knowledge that we're acquiring and will continue to acquire with the DNA samples and all that, that's going to be a gift to the Stó:lō people … our children, grandchildren, and great-grandchildren, they're going to be healthier people with the gift of this knowledge about who they are and where they came from. There can be no argument that colonialism robbed First Nations of much of their heritage. As a society today, we must support the restoration and protection of their cultural heritage beyond lip service.